Rapp Bomek designs and manufactures a full range of project specific manual-, pneumatic- and electric operated sliding doors to meet the requirements in SOLAS 74 and IMO FTP code and according to NORSOK standard C-002: M1, M2 and H1. The doors are designed and produced in our factory in Norway. They are engineered with decades of experience from some of the world's most harsh marine environments in The North Sea and Arctic Waters. The doors are all full scale tested against fire, blast and jet fire. 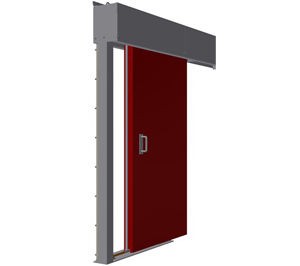 The following types of sliding doors are in our product range: NR, A0, A60, H0, H60 and H120. Rapp Bomek has a professional service team of more than 20 highly trained service engineers who can provide installation and maintenance on all types of fire doors and systems/equipment.The service team has extensive experience, and the necessary certificates and safety courses required for offshore work and have performed installations, surveys, maintenance and recommendations for upgrading and cost effective improvements on the NCS as well as internationally. Rapp Bomek has developed a "Total Agreement" concept, which is used on a lot of platforms and FPSOs in order to reduce costs for the platform operators. 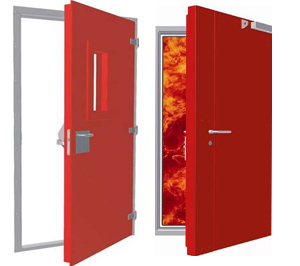 Today we have long-term frame agreements with several oil companies for maintenance on fire doors and fire door systems.